There is a saying that goes something like this, "Jack of all trades and master of none". Joe is the only guy I know that is a Jack of all trades and master of most. Joe probably never knew it, but I always looked up to him. As with John, I am very proud to say that Joe is my brother. I have many fond memories of our early years and will always remember Joe as being very strong in mind and stature. A brother surely worthy of looking up to. 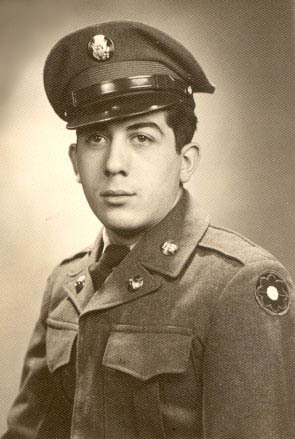 Joe entered the Army when he was fifteen years of age. Our mother tried to get him out of the service, but his commanding officer wrote and told her that Joe was doing just fine. After a few attempts, my mother was finally successful in getting Joe out of the service. She should have left him in there, because he re-enlisted as soon as he turned seventeen. 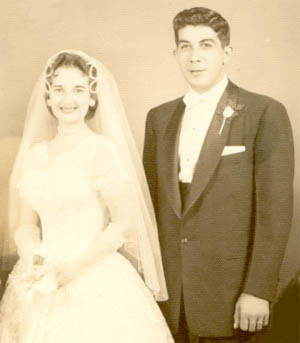 Joe served for three years in Austria, where he was club manager of the officer's club. In cold weather, Joe would knock the large icicles down that would continually accumulate at the edge of the roof of the base church. He then transported the ice to the officer's club, where he diligently chop up the ice and used it for the officer's mixed drinks. The money that had been allocated for the purchase of ice was put to better use as pocket money. That gives you a little idea of his ingenuity. My mother told Joe that she thought his doing such a thing was awful. He smiled and responded by saying, "They were safe -- the ice was blessed. It came from the church". I almost wrote a book when I summed up some of John's wartime exploits, so I better cut this one short. In a nut shell, I am the youngest of five children and I have certainly been blessed with two of the best sisters and two of the best brothers that a person could possibly ask for. I hope they think that I'm kind of okay too.